Padilla Finest Hour, the Winston Churchill-inspired cigar that comes in three versions, is soft-launching at select cigar stores this week. A formal, nationwide release will begin next week, with an official launch party scheduled at Casa De Montecristo by Prime Cigar & Whiskey Bar in Miami on January 24 at 7 p.m. Some of the retailers who are expected to receive Finest Hour this week include: Cuban Crafters Cigars in Miami; Mt. Vernon Tobacco in Baltimore; Lordsburg Cigar Lounge in La Verne, Calfornia; Brown and Sons Premium Cigars in Olympia, Washington; and Lake Worth Cigars in Fort Worth, Texas. 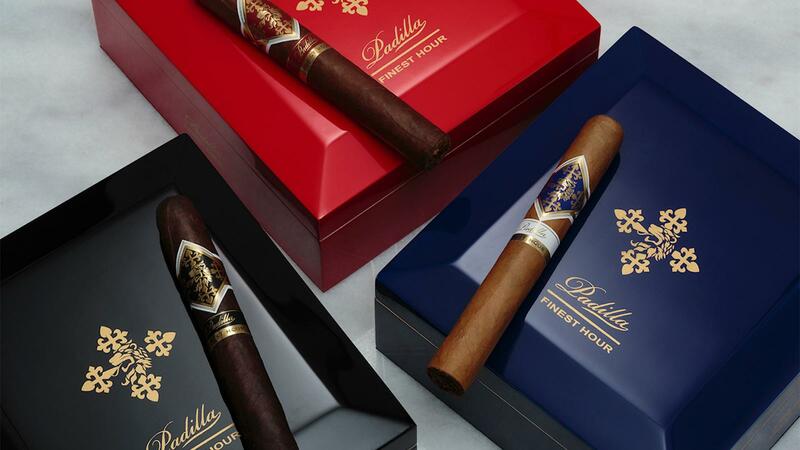 Padilla Finest Hour Oscuro is draped in a Connecticut broadleaf wrapper with a double Nicaraguan binder and filler tobaccos from Nicaragua and Honduras. Finest Hour Sungrown is a Nicaraguan puro, enrobed in a Habano-seed cover leaf. Finest Hour Connecticut is rolled with an Ecuadoran Connecticut wrapper with a double Nicaraguan binder and Dominican and Nicaraguan filler. The cigars ship in the same three sizes across the three blends: Robusto, at 5 inches by 52 ring gauge ($7.50); Toro, at 6 by 52 ($8.25,); and 6x60 ($8.90), with the same dimensions as its name. Each will come in boxes of 20. Padilla is not releasing the name of the factory that rolls Finest Hour at this time.